Making healthy decisions at the grocery store just got easier, thanks to an app developed by Northwestern University researchers that not only rates the nutritional value of packaged foods but also suggests healthier alternatives. Rather than tell you what to eat, the app, FoodSwitch, tells you how healthy the packaged goods you choose are, in easy-to-digest terms. 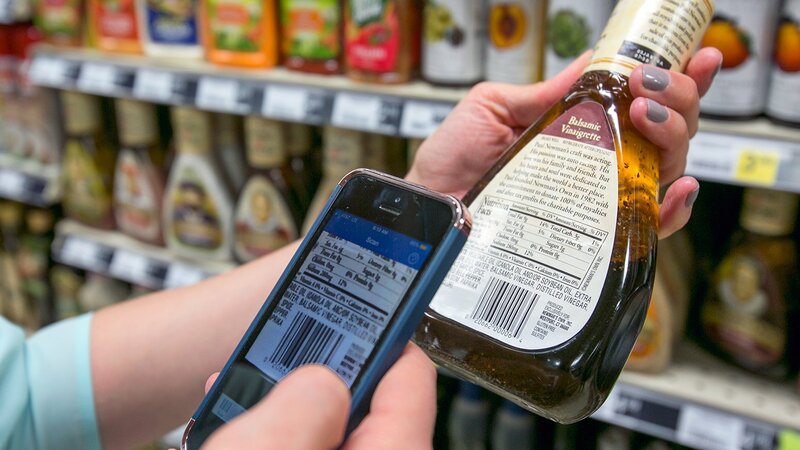 How it works: Scan a product’s bar code to see its nutritional rating. The app scores foods from 0.5 stars (unhealthy) to 5 stars (healthiest) based on a scientific algorithm that weighs the impact of different nutrients on health. The app also provides a breakdown of the food’s fat, saturated fat, sugars and salt in grams, and gives a percentage of an adult’s daily intake for each shown as red, yellow and green traffic lights, corresponding to high, moderate and low percentages, respectively. For example, if a food gets few stars or multiple red lights, consumers can see it’s high in fat, saturated fat, sugars and salt. “That’s when you should take a step back and say, ‘Maybe, I shouldn’t be eating this. What else is out there?’” Huffman said in a press release. In the U.S., there are 400,000 different types of packaged foods, and 268,000 of those can be found now in FoodSwitch. If a product is not in the app’s database, you can add it by taking photos of the label, nutrition facts panel and ingredient list in order for FoodSwitch’s team to rank the item and update its database. Crowdsourcing is vital to for the app’s success, according to Huffman, because manufacturers frequently update or add ingredients, and independent grocers carry foods not always found in mainstream stores. Every year there is roughly a 20-percent turnover in the U.S. food supply. You can also compare multiple products in the same category, such as regular and fat-free salad dressing, to find out which one is healthier. Consumers looking to cut back on sodium can consult the SaltSwitch filter within the app to find less salty options. Researchers also plan on launching SugarSwitch and FatSwitch modes in coming months, according to a press release. FoodSwitch USA was developed by The George Institute for Global Health in Australia in collaboration with Northwestern Medicine and Chicago-based Label Insight. It is available for free download in Apple and Google Play stores. Funding for the app comes from One Brave Idea, a research program sponsored by the American Heart Association, Verily and AstraZeneca, and led by Dr. Calum MacRae at the Brigham and Women’s Hospital and Harvard Medical School.